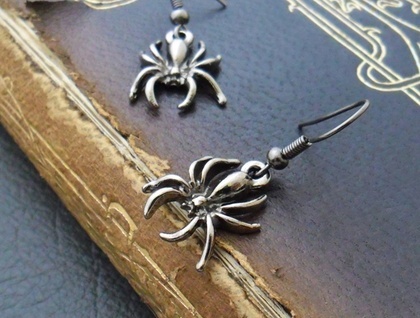 These earrings are for people who aren't afraid of arachnids! 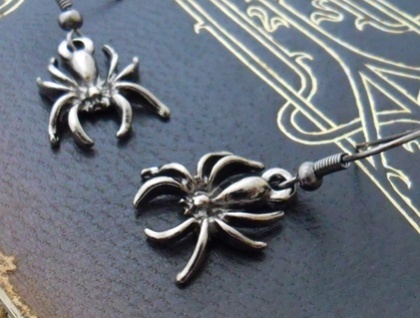 The spider charms are gunmetal black (dark grey) in colour, and are very shiny, so they look darker or lighter in colour depending on the light. 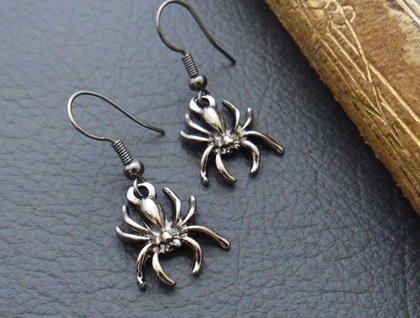 The 'Dark Spider' earrings measure 35mm from top to bottom. 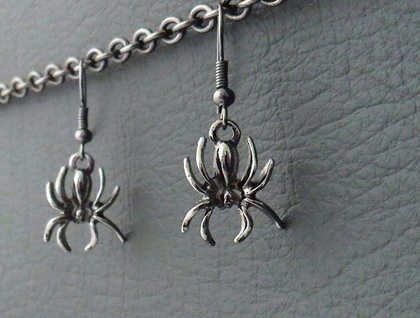 The spider charms are 18mm long, including the baile (hanging loop), and 15mm across. The ear hooks are copper based and are without nickel. However, if you would prefer hypoallergenic, surgical steel ear-hooks, simply request them in the ‘notes for silverlight' field when you check out of Felt. I’ll change them over at no charge.